While we head for the indoors as the weather grows colder and wetter, a secretive, little eel-like fish is gearing up for its busiest time of year. The remarkable brown mudfish is one of five mudfish species that are all unique to New Zealand. They are small (up to around 15 cm), long and skinny and nocturnal. 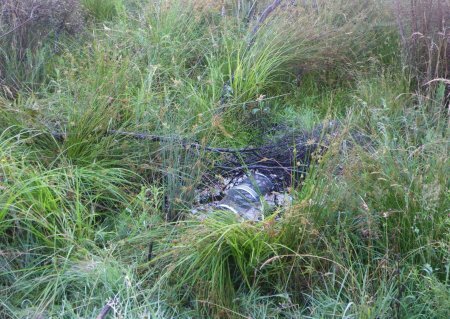 They live in wetland environments that tend to dry out in summer and survive these dry periods in a similar way to how bears survive the winter – they aestivate. To aestivate is to slow down your metabolism, burrow into the mud and hunker down until the rains come again. This way, the brown mudfish is actually able to survive out of the water for several months! When the autumn and winter rains re-flood the wetlands, it’s mudfish action time and these busy little fish come out of their slumber and begin looking for mates – although first, they probably have themselves a large breakfast! Prior to European colonisation, vast tracts of New Zealand were seasonal wetland and mudfish would have been widespread. These days they are far scarcer, as over 95% of these wetlands have been drained to make way for agricultural and urban development. Historical accounts exist of people digging up recently drained fields of potatoes and finding aestivating mudfish still left alive from when the fields were wetlands – fish and chips! Brown mudfish habitat (Photo: Alton Perrie). Brown mudfish are classed by the Department of Conservation as a declining species and remain in danger from further habitat loss along with introduced fish and weeds. Unlike most New Zealand freshwater fish, mudfish don’t need to migrate between freshwater and the sea in order to complete their life cycle so small groups of various mudfish species could be hanging on in remaining wetland fragments throughout New Zealand. 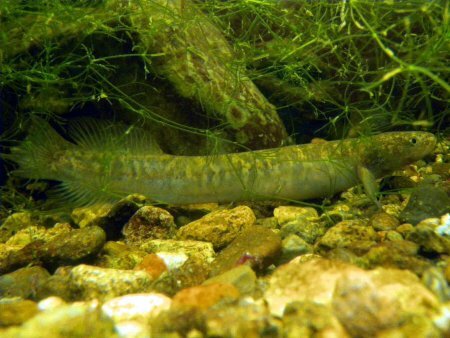 If you have an area on your land that retains water in winter you might just want to take a torch out in the evening and have a look around – you may find mudfish!